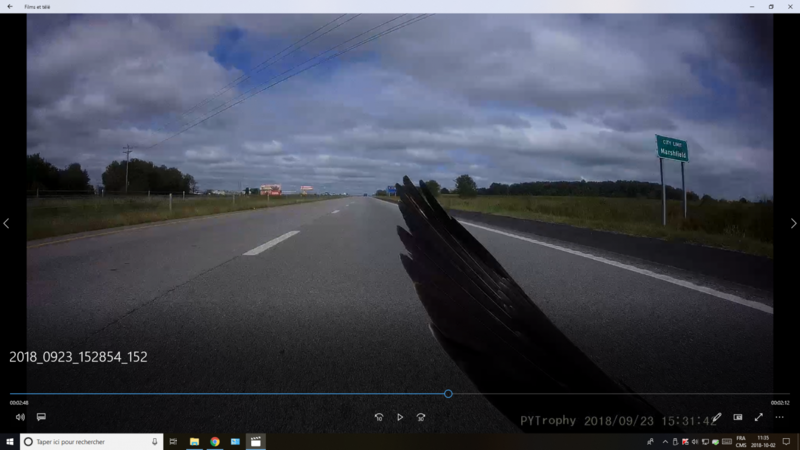 Those pics are taken from my dashcam mounted under the headlight . 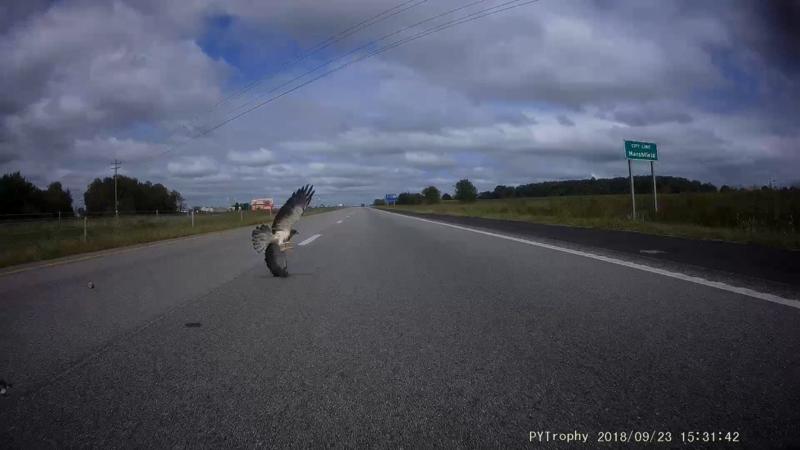 The Osprey came from the median with a prey , unable to gain height rapidly from the extra weight he dropped it ( we can see it on the road behind it ) but to no avail. I hit it ,it fell on the asphalt and my wife ( on her bike , to my right and slightly behind ) rolled on it!! No damage on bike but it was a little scary at the time because of its size . They are not not very heavy however when you do 75 mph and it appears in front of you you don't have any time to think about that!! Just be glad it came from the side. Friend of mine had a seagull come in front and centre of his Deauville. The result was a big gaping hole in the upper cowl, just under the windscreen. I've hit birds with my trucks, or rather birds failed to avoid my trucks per the FAA rules to see an avoid others...I found the last one (sparrow) mushed to the radiator! One hit my roof rack from the side, another a front wheel. For my new TTSE, I'm ordering a radiator screen protector and one for the Exhaust pipes too. My old pappy always told me, "Boy, little protection will save you years of paying for your mistakes....". I've hit birds with my trucks, or rather birds failed to avoid my trucks per the FAA rules to see an avoid others..
And it was nice VFR weather !